Stunning shots, all day and all night. Our Dual Aperture lens intelligently adapts to the light it's looking at and automatically adjusts between f-stops to accommodate. F1.5 brings in more light during low light shoots, while F2.4 helps bright scenes come out sharp. Well-lit shots need help retaining their sharpness, which F2.4 maintains. Dark scenes need a wide-open lens. F1.5 expands to pull in as much light as possible. Clear-cut color for late night shoots. Take sharp, colorful photos from 2PM to 2AM. The Note9's HDR capabilities reduce noise, keep details clear, and make colors vivid without washing out light sources—day OR night. 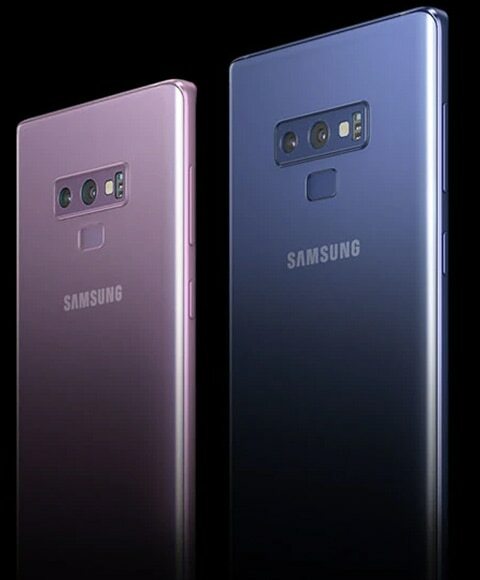 Note9's dual 12MP cameras bring power, focus, and a 2x optical zoom to your photo game. The telephoto and wide-angle lenses shoot the whole scene (even when you're zoomed in). Live Focus creates unique portraits, and dual OIS stabilizes even the shakiest of shots. You'll be able to capture what no one else can. Portraits that shine all night. Live Focus intelligently recognizes the subject of your photo and puts the spotlight on friends and family by blurring out the background. And when low light is detected, the Note9 camera takes multiple shots when you hit the shutter and blends them together for pin-sharp productions. Your secret to effortlessly brilliant shots. *20 different modes available: Food, Portraits, Flowers, Indoor scenes, Animals, Landscapes, Greenery, Trees, Sky, Mountains, Beaches, Watersides, Street scenes, Night scenes, Waterfalls, Snow, Birds, Backlit, Text. Finds flaws so you don't have to. You'll never have to worry about Aunt Mary blinking in the family shot again. Note9's Flaw Detection intelligently recognizes blinks, blurs, smudges, and backlighting, and notifies you so you can adjust and reshoot.2 3 It's like having an art director right in your pocket. Take selfies like no other. Make every moment feel epic. Go ahead, get a little animated. You can customize its hair, clothes, and accessories. Video of person creating AR Emoji with a selfie, then selecting skin tone, hair, accessories, outfit, and background to personalize it. How to personalize your AR Emoji. *Hover over to see it in motion. See more moments captured by the Galaxy Note9 in the gallery. 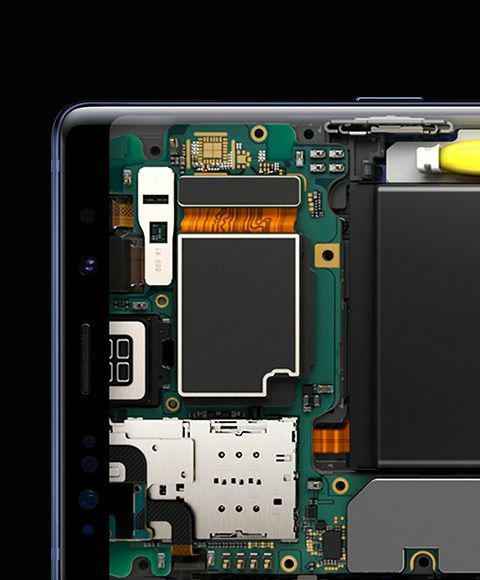 Explore how the Galaxy Note9 transforms the way you do business. Lens smudge and backlighting detection notifies once every 24 hours if flaw is detected. Backlight detection works when HDR is turned off. S Pen remote function reaches up to 30 feet in an open space. Performance subject to circumstances. Blink and blur detection works best when there are three or fewer people in the frame, 4.5 feet or closer to the camera. Super Slow-mo only supports HD resolution. Limited to 20 shots per video with approximately video is approximately 0.2 seconds of recording and 6 seconds of playback for each shot. In single manual mode, users can choose to record approximately 0.4 seconds of video captured a 480 fps and digitally enhanced to 960 fps with 12 seconds of playback. Some movements and expressions may not be recognized. Apps that do not support animated GIFs may still send AR Emoji stickers as a still image. Available for download on Galaxy Apps.